First of, don’t believe much of what you hear from the media or “experts” untrained in nutritional science. Therapeutic nutrition is a complex subject and a discipline of its own. Why am I saying that? Outcomes from the SELECT study has shown that by using unnatural, isolated ‘natural’ compounds ( SeMet) can increase the formation of prostate cancer. The overall evidence with selenium suggest’ that this trace mineral , ONLY in the form of selenized yeast (SY), has potential of being protective against prostate cancer. Furthermore, SY does not cause or promote diabetes and it has no adverse side effects at dosages of up to 800 mcg/day. The RDI upper tolerated dose is 400 mcg/day. Today’s highlighted study and most others use approximately 200mcg/day of a specialized selenium yeast, SelenoExcell. Most men, by the way, consume about 134mcg/day from their diet – but of course, that varies. The effects of Selenomethionine (SeMet) and Selenized Yeast (SY) were compared for the first time on prostate cancer relevant biomarkers in men. A randomized double blind, placebo-controlled trial of SY (200 or 285 mcg/day) and SeMet (200 mcg/day) administered for 9 months in 69 healthy men. (In case you feel geeky today and are interested in the biomarkers tested; here they are: urine 8-hydroxy-2′-deoxyguanosine [8-OHdG] and 8-iso-prostaglandin-F2α [8-iso-PGF2α] and blood glutathione [GSH]). Secondary endpoint researchers looked for was blood glucose and PSA levels. Although the Richie study is the first head-to-head study comparing SY to SeMet, others have independently shown to favor SY over SeMet for its protective qualities. In contrast, Dr. David McCormick at the Experimental Toxicology and Carcinogenesis Division, IIT Research Institute in Chicago found no effects with SeMet supplementation on the prevention of prostate cancer in rats (McCormick & Rao. 1999). A recent report, in the SELECT study showed a significant increase of advanced prostate cancer in men consuming 200mcg/day of only SeMet. Note: The SELECT was a 300 million dollar study looking at vitamin E (in the form alpha-tocopherol) and selenium (in the form of L-selenomethionine) and prevent prostate cancer. The trial was simply called the SELECT trial (SELenium and vitamin E Cancer prevention Trial). More on SELECT HERE. Selenium rids the body of unwanted metals – a really good thing. The research by Richie et al. is exciting. This is the first head-to-head study comparing SeMet to SY that I know of. There is a difference between the two so when claims are made on “Selenium” promoting cancer the question that needs to be asked is; what kind of selenium was used? Scientists, practitioners and the media who are not trained in nutritional science are guilty of making incorrect, unreliable and potentially harmful conclusions. In nature, vitamins and minerals work in concert, not independently. Besides, super isolation of any one compound would then make that compound a drug. And that’s what we’re trying to avoid, right? Anytime a substance is super concentrated as is the case with pure SeMet, that causes havoc with the interplay amongst all components of a natural substance. For example, the use of alpha-tocopherol vitamin E at 400 mcg/day seems to promote prostate cancer. Alpha – tocopherol vitamin E is an isolated and super concentrated form of vitamin E versus mixed tocopherol which include beta, delta and the very important gamma-tocopherol. More on that HERE. 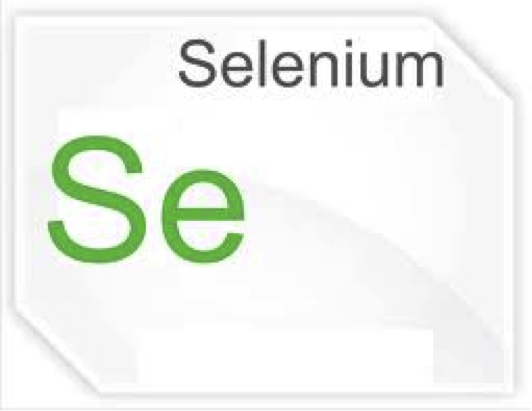 SelenoExcell SY, on-the-other-hand consist of 200mcg of THREE types of selenium; selenomethionine , selenocysteine and methylselenocysteine which very likely could have greater anti-carcinogenic activity than SeMet alone. Clark LC, et al. Effects of selenium supplementation for cancer prevention in patients with carcinoma of the skin. A randomized controlled trial. Nutritional Prevention of Cancer Study Group. JAMA. 1996;276(24):1957–63. Jamba L, Nehru B, Bansal MP. Selenium supplementation during cadmium exposure: changes in antioxidant enzymes and the ultrastructure of the kidney. J Trace Elem Exp Med 1997;10:233-242. Waters DJ, Shen S, Cooley DM, Bostwick DG, Qian J, Combs, Jr. GF, Glickman LT, Oteham C, Schlittler D, and Morris JS. Effects of dietary selenium supplementation on DNA damage and apoptosis in canine prostate. J. Natl Cancer Inst 2003; 95:237-240.